At last a ram animal head decoration for your interior ! 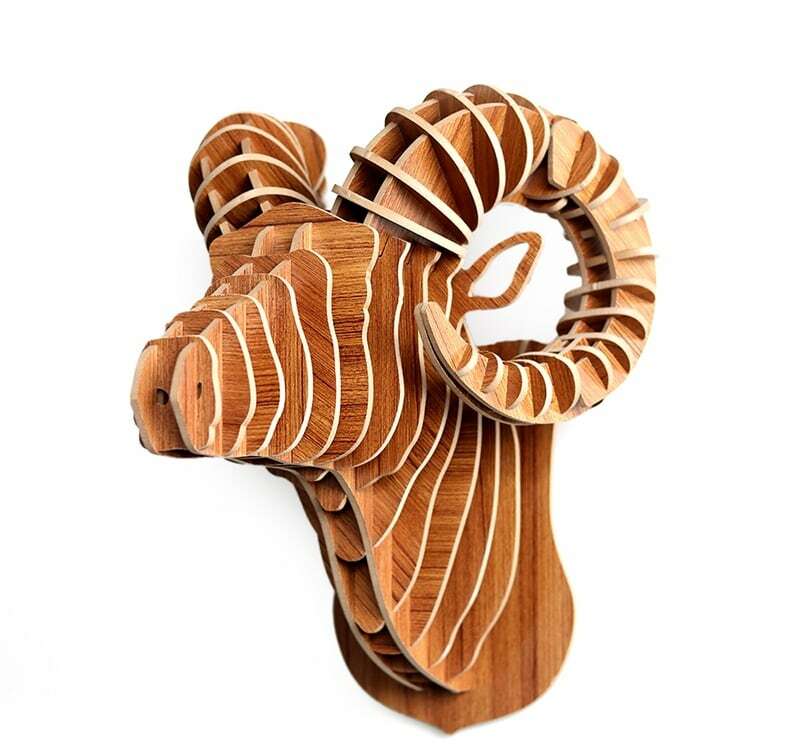 Our wood wall decorations are entirely hand made by our artists. The dimensions of this design wall decoration are 33 x 38 cm. 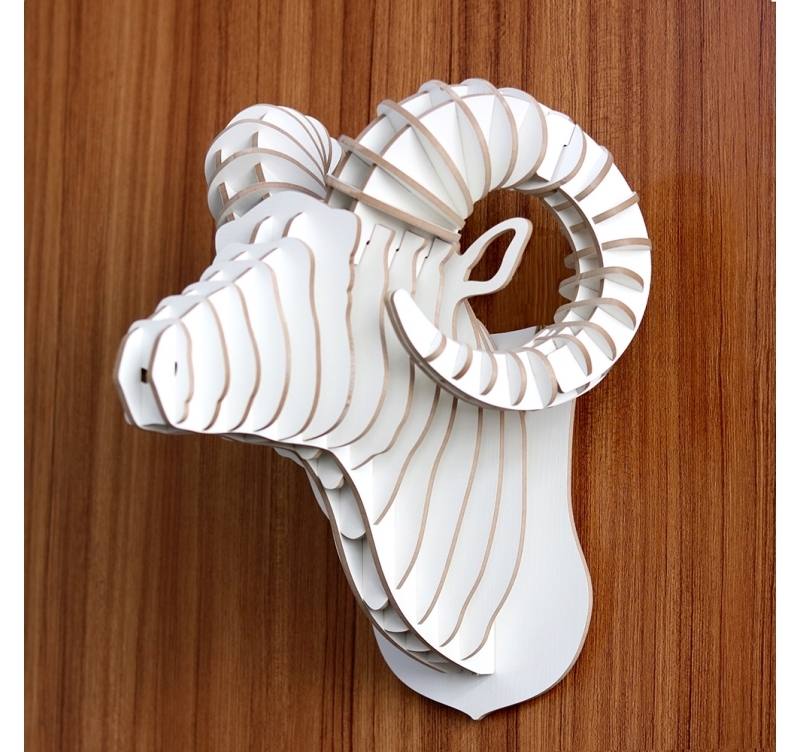 This ram trophy decoration is delivered as a kit for an easy assembly. 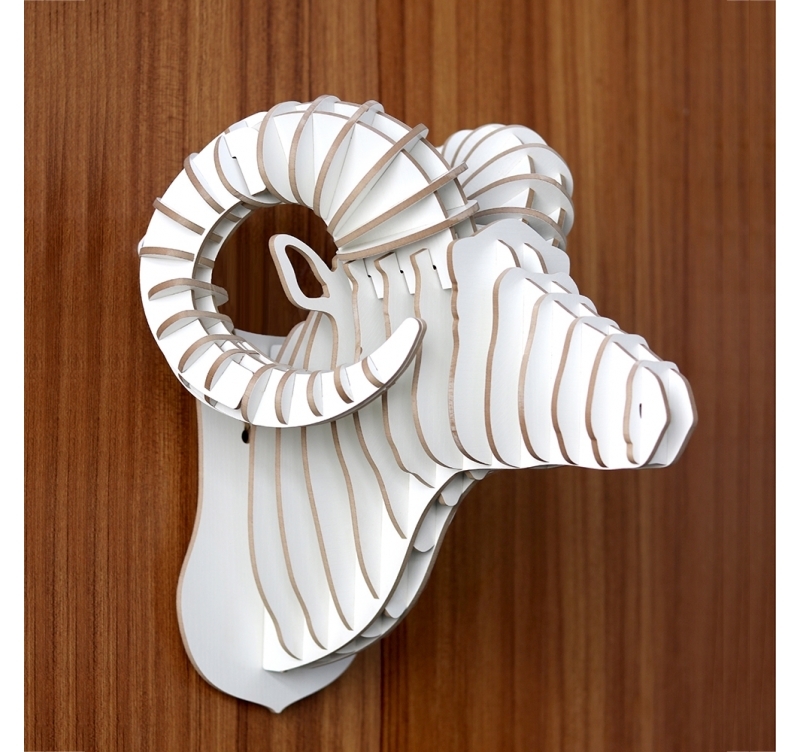 Beware, this ram head design wall decoration will impress you with its hard as rock horns ! 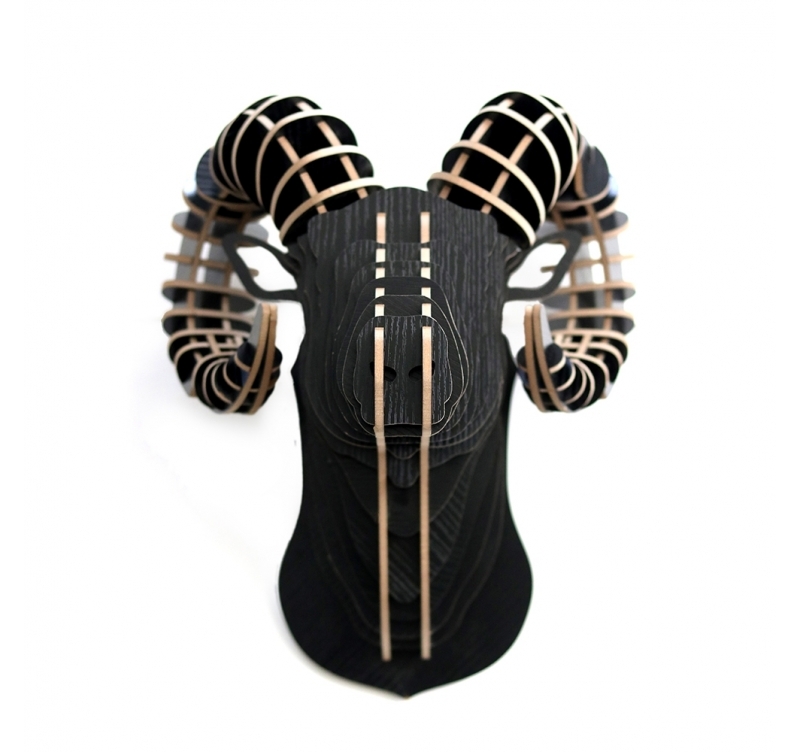 Discover our contemporary animal heads series to create a real nature ambiance in your wall decoration ! Give some relief to your bedroom or lounge with this design 3D wall trophy better than the real thing ! 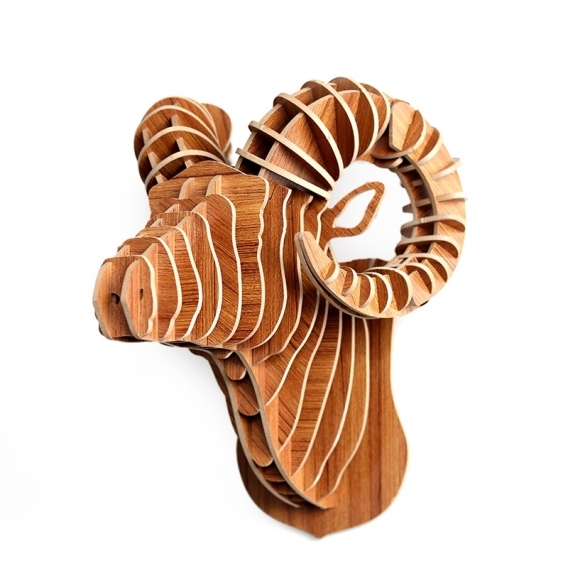 This trendy wall deco is hand made of wood for a quality finish that will brighten up your room. 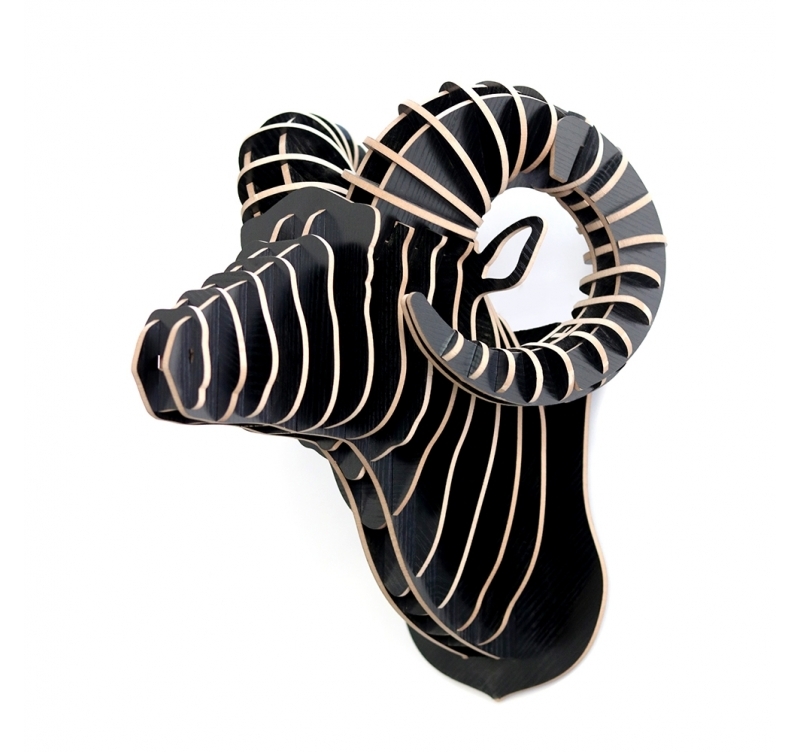 All our animal heads wall decorations are delivered free in metropolitan France and Belgium. As a kit and in their Artwall and Co personalised box, you can put together this design wall decoration in a few minutes. 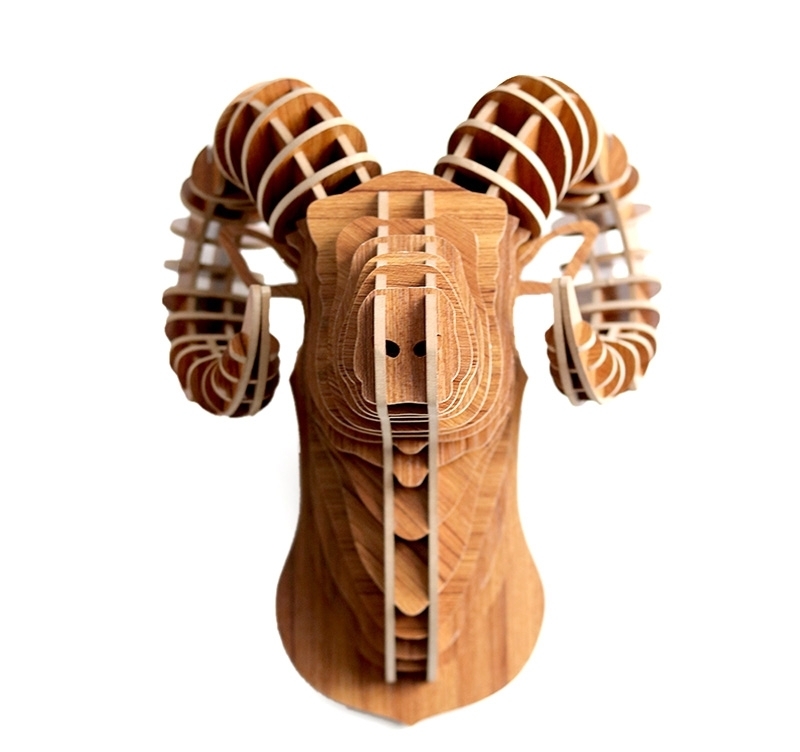 We provide an integrated hanging system to this ram deco trophy so you only have to hang the trendy head up on the chosen wall.